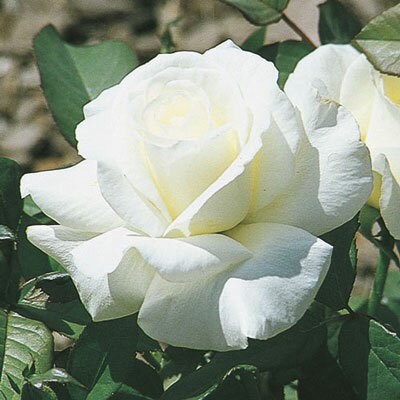 Huge well-formed clear white blooms are carried on this tall vigorous plant. The large dark green leaves and bronzy-red new growth are very disease resistant. Honor will yield lots of long stems suitable for cutting. Happiest on the Pacific Coast.